Hilltop Place features a nod to classic 1940s architectural style and preserves the land’s history by being built in harmony with the natural elements that have been in place for centuries. 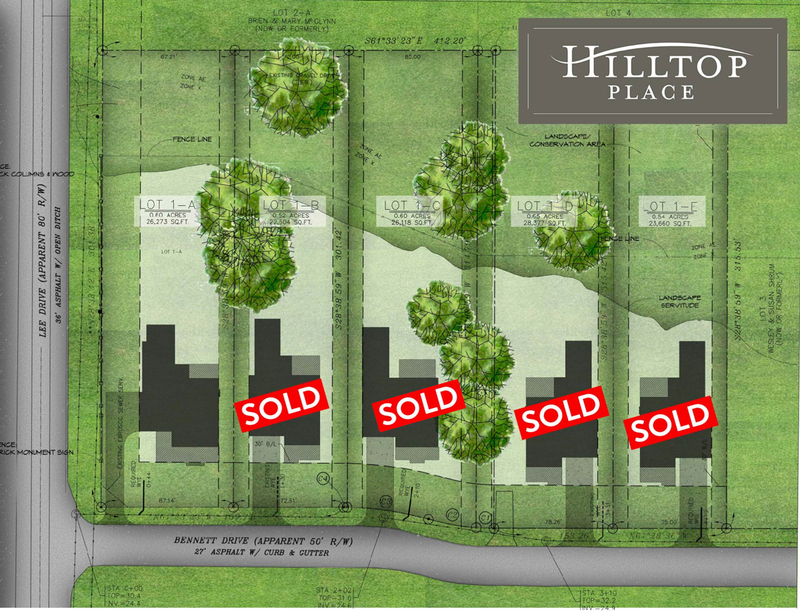 Located in the heart of Southdowns at Lee and Bennett Drive, Hilltop Place is a Bienvenue Development and exclusive Bardwell Homes community of five home sites built on some of the largest lots available in Southdowns. Hilltop Place sits on the last acreage of the Bennett family property. The homes are built in harmony with the land’s natural elements and accented by centuries-old heritage oaks that decorate the property. With a location surrounded by some of the best private and public schools in Baton Rouge and near the city’s best parks and entertainment, Hilltop Place is unbeatable for families. Homes start at $600,000. For sales information, contact Heather Kirkpatrick with EXP Realty at 225-252-0668. There are no available homes for sale at this time. straightforward, thoughtful and distinct–traits that make each of our homes a joyful and effortless experience. Discuss communities, available lots and floor plans. Personalize and approve the floor plan and sign contract. Make appointments to select Plumbing at Coburn’s and Appliances at Stanton’s. You will choose the Exterior Color Palette, Garage Door, Mantel Design, Interior Trim, Sink Selections and review Cabinet Design. Bring photos and magazine ideas, drive around different neighborhoods, bring paint chips, and pictures of bar area/butlers pantry (if applicable), kitchen, desk, broom closet and utility room cabinet inspirations you would like to incorporate into your home. Make appointments to select Countertops, Electrical Fixtures and Hardware. Visit Michael Paul’s Natural Stone (Stone Fabricator) first to look at inventory including remnants for guest baths and to select stone edging and sinks. Finalize Cabinet Plans, Interior Paint Colors and Flooring and tie together selections made from vendor appointments. Bring photos from your vendor appointments, interior paint inspirations and fabric swatches of furniture or drapery. Bring Electrical Selections and think through outlet/charging locations, lamp and furniture placement, locations of TV’s, can placement and speakers. Finalize cabinet dresser placement if applicable. Finalize closet layouts and fencing plans on-site. At the Homeowner Orientation Walk, we will prepare punch list items to be handled before closing. For the final walk, the Superintendent will review details and go over completed punch list. Sign documents and deliver deposit. Choose elements from paint to light fixtures in order to make this house truly your home. From the foundation to the finishes, our team communicates with you every step of the way.